Karma: The fruit of performing virtuous karm is attaining a place in heaven - a celestial abode of transient, short lived and elusive happiness. Gyan: The fruit of following the path of gyan is removal of ignorance and attainment of eternal freedom from Maya - the ocean of miseries. Yoga: The fruit of following the path of Yoga is attainment of the divine bliss of Parmatma (Maha Vishnu), wherein the devotee gets to serve The Lord as a Master but does not get to enjoy a more intimate relationship with the Lord. Bhakti: The fruit of Bhakti i.e. unconditionally and lovingly submitting oneself only unto the Lord, is to enjoy the everlasting, ever increasing and ever new bliss of the divine Lord. यत्मकर्मभिर्यत्तपसा ज्ञान्वैराग्यतश्च यत् । योगेनदानधर्मेण श्रेयोभिरितरैरपि ॥ भाग ११.२०.३२ एवं भ​.र​.सिं. yogenadānadharmeṇa śreyobhiritarairapi ॥ bhāga 11.20.32 and bha​.ra​.siṃ. “If ever the devotee wants to enjoy the fruits associated with any other means, those fruits are already granted to the devotee”. In a nutshell, Shri Krishna says “although I am invincible, yet any one can conquer Me by pure love. I do not want My devotees to do anything for me or offer anything to me”. “I am pleased by a simple offering of Love even if it is in the form of a leaf, flower, fruit or even water”. In fact it is even simpler than that. If a devotee mentally offers anything to Him he accepts those as well. One cannot attract Shri Krishna even if one were to perfectly implement all the aforementioned measures. He accepts only those who renounce all other desires and surrender unto Him alone. Surrender unto Him means engaging one’s mind in loving thoughts of Shri Krishna, His names, His forms, His pastime, His attributes, His abodes and His fully-surrendered devotees. Once a devotee fully surrenders to Him, He ignores all their sinful past actions. “I am unimpressed by those who exhibit outward control of their senses, yet their mind remains engrossed in material matters. His physical actions of worship and simplicity are worthless to Me”. History is full of such examples. Arjun killed millions in the Kaurava army, yet Shri Krishna ignored all his gruesome actions. Shri Krishna only observes the action performed by the mind and Arjun’s mind was totally absorbed in loving thoughts of Shri Krishna. 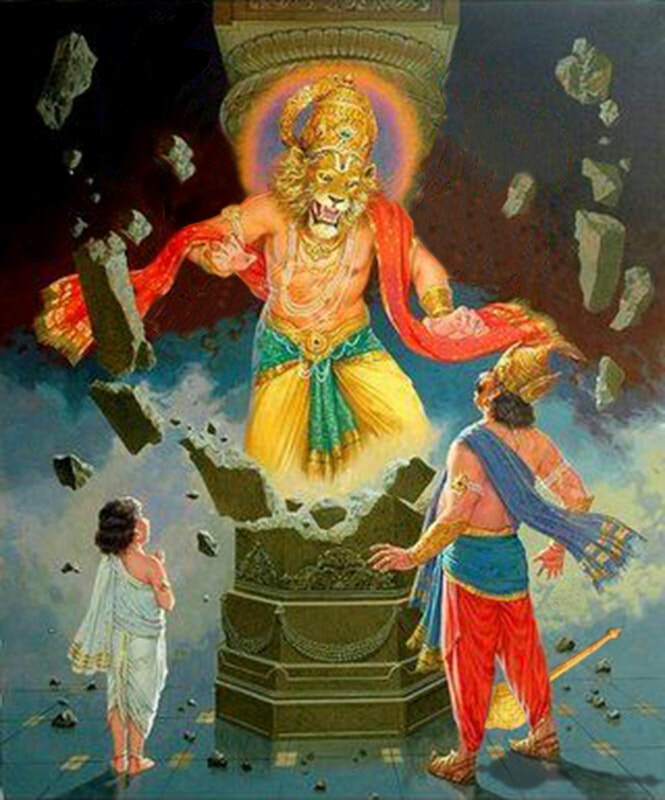 Hanuman Ji killed millions of Brahmins in Sri Lanka, yet Lord Rama did not chastise him. Instead, he was rewarded for his service to the Lord. 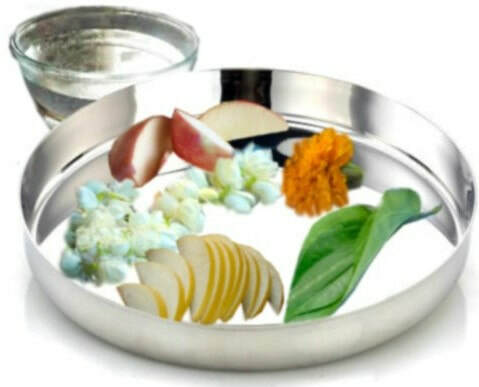 Duryodhan prepared a variety of scrumptious food for Shri Krishna but Shri Krishna rejected that food in favor of the love-filled banana peels offered by Vidurani. “A mother is to be worshiped just like God”. “Bharat is the most dear to me”. “The entire world worships and adores Lord Rama and Lord Rama in turn adores Bharat. Who can even come close to the greatness of such a great personality like Bharat”? One should respect one’s father like God”. 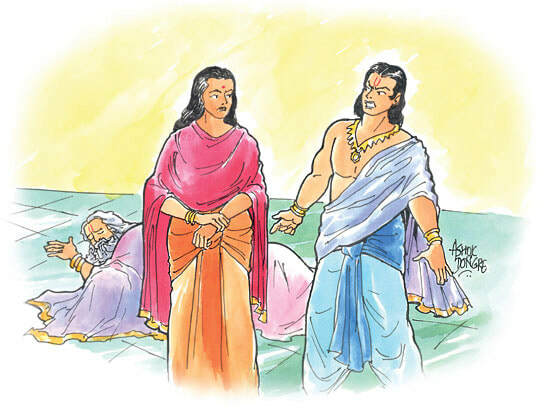 Prahlad totally disregarded this principle of the Vedas and disobeyed his father Hiranyakashipu orders. He continued to love God wholeheartedly, sang His glories and taught about Him to other children. Infuriated by the disobedience Hiranyakashipu ordered Prahalad to be killed. When all soldiers failed to kill Prahlad, he himself decided to kill his own son. God loves His devotees so much that without being invited, God descended on this Earth as Lord Narasingh to kill Hiranyakashipu and save Prahlad. When Lord Vaman in the guise of a young ascetic, asked Raja Bali for three steps of land, Raja Bali’s preceptor, Shukracharya, cautioned him against giving the three steps of land in alms to the young ascetic. Bali disobeyed his preceptor, an unpardonable offense per the rules of the Vedas, yet Bali was rewarded with the attainment of divine grace. Although milk maidens of the land of Braj, referred to as Gopis, were married, they did not care about their marital status and loved Shri Krishna wholeheartedly.They offered their mind, body and soul in the service of Shri Krishna. “In order to please Me they have set aside the decorum of society, family and the Vedas. Even in the lifespan of the devatas, I will not be able to repay the debt of these Gopis”. Please note: One year on earth is a day (along with night) in the abode of devatas. Even though Shri Krishna is Self-Contented and Self-Complacent, He feels indebted to those who selflessly love only Him. Shri Krishna feels indebted to those who selflessly love only Him. It is proven that bhakti (love) is the only means to achieve the ultimate goal of life - attainment of unlimited, unending and ever increasing divine love bliss. God loves “love” so much that He remains forever under the control of His devotees who love Him wholeheartedly. O Shri Krishna! you are attracted by Love and I have none of it. Please grant me Love so I can attract you.